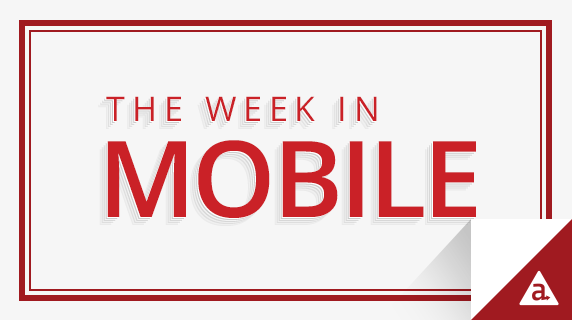 Amazon’s Smart Home API, Starbucks’ relentless mobile innovation, Kik joins bot wars and more. Amazon’s Alexa enabled devices — Echo, Tap and Dot — are about to get even smarter thanks to the new Smart Home Skill API. Added to the Alexa Skills Kit last week, this new API allows developers to build home automation capabilities for Alexa-enabled devices directly into their apps. Building on the Echo smart lighting toolkit, which was released last year, developers are now able to create and incorporate a wide range of new smart home commands. Amazon hopes to entice devs to rally behind the new ecosystem for its surprise hit. Facebook unveiled a new AI feature for its iOS app to helps users with visual impairments better engage with the photos in their newsfeed. Now, users who enable the feature will hear automatically generated descriptions of photos as they scroll through the app. Powered by Facebook’s object recognition technology, descriptions will identify key objects in the photo as well as facial expressions and setting. For now, it is only available on iOS for select countries, but Facebook says Automatic Alternative Text will roll out to more platforms and countries soon. Meanwhile, Amazon recently acquired Orbeus Inc., an AI startup known for its photo-recognition technology. Amazon has yet to officially announce the acquisition or any information on how the company plans to use this technology. Facebook announced plans to roll out a new mobile video tab to iOS and Android. Soon to be front and center on Messenger’s navigation bar, Facebook’s video tab will allow users to easily access live and recorded videos. The move makes it easier for users to seek out videos as you would on YouTube rather than discover them at random in your newsfeed. What’s more, Facebook will roll out a number of updates for Live, including a map for discovering videos around the world, topic tagging and more. Microsoft announced updates to Windows 10 and its AI assistant, Cortana. Now, users can mirror Android and Windows Phone notifications to their desktop, and dismiss, respond or engage with reminders from their mobile device or Windows PC. The news coincides with Microsoft’s statement that Windows Phones will not be a primary focus this year. Instead, new features and updates to mobile will support the company’s strength in other areas. Kik, a mobile messaging app, is embracing artificial intelligence with open arms and is encouraging users and developers to do the same with the launch of a new bot store. Users can now peruse the bot store and integrate a wide range of bots — created by partners, including The Weather Channel and Vine — into their messaging experience. Additionally, third-party developers can create their own bots for Kik. The move is part of a larger trend with competitors like Facebook’s M, Amazon’s Alexa and Microsoft at the helm. There’s no question that Starbucks’ mobile order and pay app has been a major success. The company reports the app now has 17 million users and has processed 7 million transactions in the past month alone. But Starbucks isn’t stopping there. The company plans to roll out a number of updates next month, tapping into transaction data to create a more personalized mobile experience. These updates will use purchase history, location information, weather stats and more to offer recommendations and discounts and make mobile ordering even easier. For example, a user who approaches a Starbucks drive through may be presented with their usual order and prompted to tap to purchase on the spot. With one million users on TurboTax’s mobile app, Intuit is harnessing user behavior during this year’s tax season to make updates all the way up until the filing deadline. With tweaks and improvements rolling out steadily, the goal is to make filing as easy as possible. By monitoring how users are navigating through the app, the company is able to make updates that reduce the number of clicks and data entry.